BEVERLY HILLS — The animated feature “Mary and the Witch’s Flower” (2017, 1 hour and 43 minutes) is now playing through Thursday, Dec. 7, at Laemmle’s Music Hall, 9036 Wilshire Blvd. in Beverly Hills, at 12, 2:30 and 7:20 p.m. Studio Ponoc’s debut film is by Academy Award-nominated director Hiromasa Yonebayashi, who directed Studio Ghibli’s “When Marnie Was There” and “The Secret World of Arrietty” and was an animator on the Hayao Miyazaki classics “Spirited Away,” “Howl’s Moving Castle,” “Ponyo” and others. In Yonebayashi’s latest film, a young girl finds a mysterious flower that can give her the power to become a witch, which lasts for one night only. 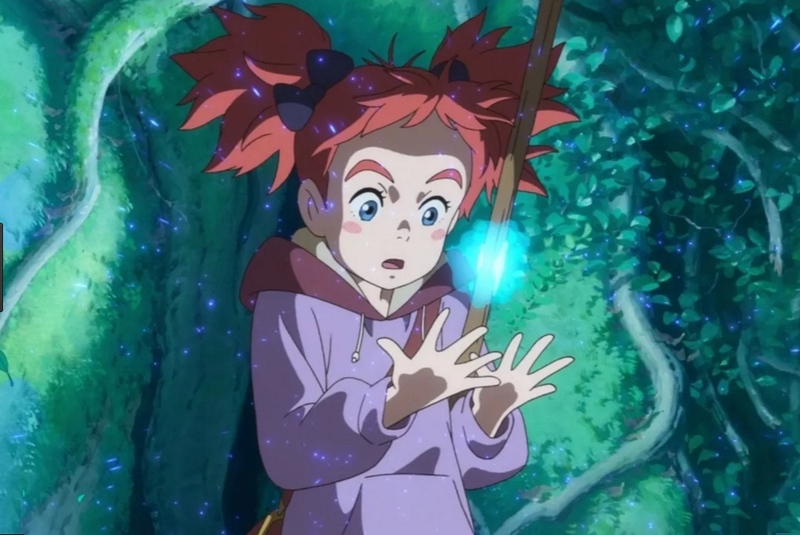 Based on the 1971 young adult novel “The Little Broomstick,” “Mary and The Witch’s Flower” (Japanese title: “Meari to Majo no Hana”) is an all-ages action fantasy adventure that harkens back to some of the most beloved animated films of all time, full of ingenious characters, jaw-dropping imaginative worlds, and the simple, heartfelt story of a young girl trying to figure out her place in the world. The English-language version features the voice talents of Ruby Barnhill, Kate Winslet, and Jim Broadbent.